Product prices and availability are accurate as of 2019-04-21 07:12:12 UTC and are subject to change. Any price and availability information displayed on http://www.amazon.com/ at the time of purchase will apply to the purchase of this product. The Hollandia Opa 28 Dutch cruiser bike is a combines simplicity with convenience. 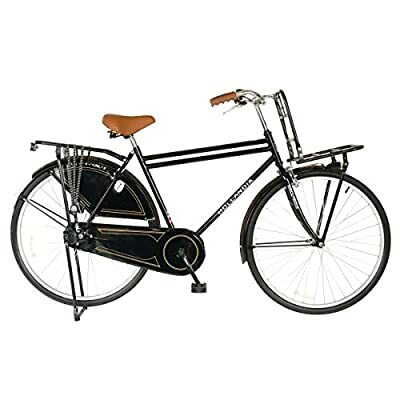 This classic bike has a simple one speed gearing with a coaster rear brake that allows you to spend less time working on your bike and more time enjoying the ride. The large front and rear fenders along with dress and fully enclosed chainguard keep you clean while headlight and racks make commuting a breeze.